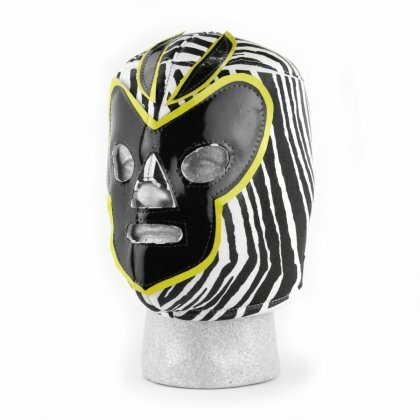 Have fun no matter where you are in this wrestling mask from Zubaz! You own a few of the recognizable Zubaz pants, but now you can sport your favorite print on your face. This is a limited edition mask, so be sure to get yours today! This mask was inspired by the high flying wrestling team of B. Brian Blair and Jumping Jim Brunzell! 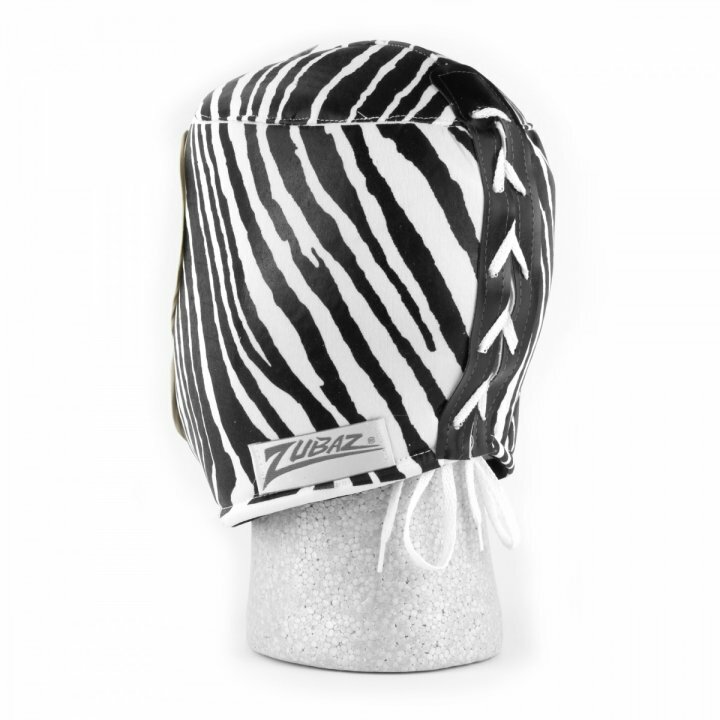 This authentic, high quality wrestling mask features the trademarked Zubaz zebra print along with Bee inspired face features. It comes in a one-size-fits-all, pullover style with drawstring closure tie in back. This mask is perfect for those special occasions when you truly want to " Dare To Be Different"!